When it comes to good interior design, every detail counts. Even the smallest features can completely change the look and feel of a room. Whether it’s to fill a lonely corner or provide a private place to read a book, accent chairs are great additions to any home. However, because there are so many different styles of chairs to choose from, the process of picking the right one can be both fun and frustrating. 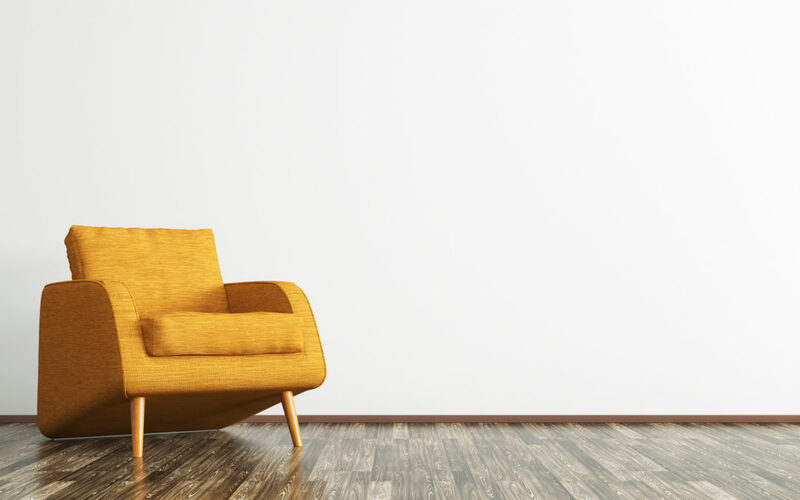 To help you out, we’re going over five tips for finding the perfect accent chair for your space. The reason you’re buying a new chair will dictate the style that suits you best. You may want to fill empty space with something interesting or unusual. In this case, a nice side chair or wingback chair will add some character. On the other hand, you may want something cozier. Something you can cuddle up in with your pet or a good book. If so, then a cuddle chair may be the best choice. The point is to think about the reason for adding a chair first and then start exploring different styles. It’s important to consider your existing interior design when choosing a new chair. This not only includes color but the style of the other furniture in the room. Now, accent chairs shouldn’t blend in with the other items in the room. In fact, they’re meant to stand out. However, there are limits to this concept. For example, adding a traditional chair to a living room that employs a very modern, minimal look probably won’t work. Make sure you take measurements of the room before you make a purchase. Don’t try guessing. The last thing you want is to spend money on a chair that doesn’t fit in the space you wish to fill. When considering space, try to find a chair that allows a lot of room for traffic. Even if the style and color are perfect, if it creates a cluttered space, it’s a bad interior design move. A great trick is to tape off an area on the floor that’s the size of the chair to determine if there’s enough room for it. The color and texture of a chair are the most important elements when trying to set off a bit of contrast in a room. However, when choosing your chair, you still need to consider the other colors in the room. Your goal is to find something that adds contrast without clashing. As far as texture, if you have a room that’s predominantly leather, choose a chair with a softer fabric to add dimension. 5. Why Stop at One? If you’ve got a huge room you use for entertaining, one chair may not be enough. Really get creative by adding a pair of accent chairs. This could be a great way to enhance a conversational area and give your guests more sitting room. You could even add a small table and lamp for added effect. Now that you’ve considered all your options, it’s time for the fun part. Finding the right chair will add more to a room than you expected and will enhance the interior design of your home for years. Quality is essential, so only look at top brands to ensure your new accent chair is made well. At Rainbow Furniture in Fort Wayne, we offer a wide selection of accent chairs for all purposes. Visit our showroom today and let us help you customize the best accent chair for your space.